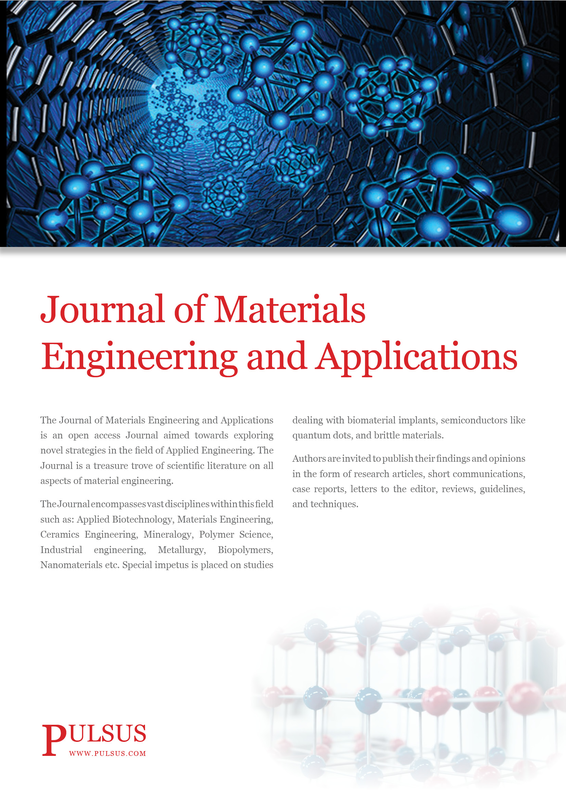 The Journal of Materials Engineering and Applications is an open access Journal aimed towards exploring novel strategies in the field of Applied Engineering. The Journal is a treasure trove of scientific literature on all aspects of material engineering. The Journal encompasses vast disciplines within this field such as: Applied Biotechnology, Materials Engineering, Ceramics Engineering, Mineralogy, Polymer Science, Industrial engineering, Metallurgy, Biopolymers, Nanomaterials etc. Special impetus is placed on studies dealing with biomaterial implants, semiconductors like quantum dots, and brittle materials. Authors are invited to publish their findings and opinions in the form of research articles, short communications, case reports, letters to the editor, reviews, guidelines, and techniques.